Hello? Is that a Google Phone on Sale in Chicago? The T-Mobile G1 Android-powered phone, the first cell phone with the operating system designed by Google Inc., goes on sale in Chicago on Wednesday. The rumor that Google was developing a phone caused a sensation last year. 150 years ago, the same effect would have been created by a rumor that the Milner Gang had escaped from prison and was headed East to Carson to settle their old score with your local sheriff. Though nobody knew exactly what was going to happen, everyone was confident that it was going to be a great show. Google is one of the few companies dumb or brave enough to try anything and rich enough to pay for it; a Google Phone could conceivably be in the form of an autonomous mechanical rat that kills on command. 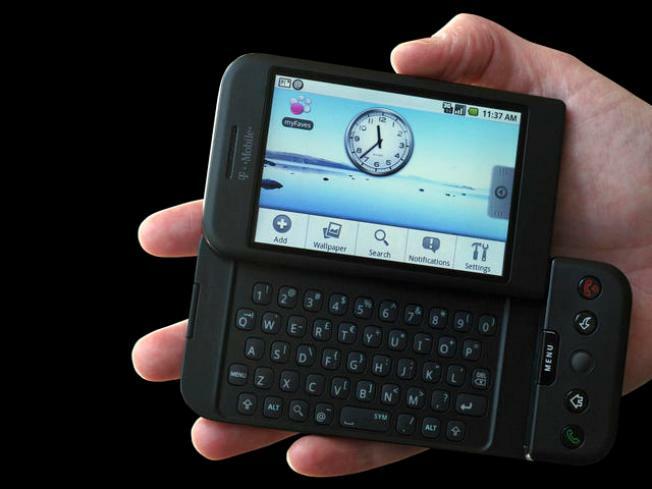 All Chicago-area T-Mobile stores have the Google G1 phone for sale starting Wednesday.